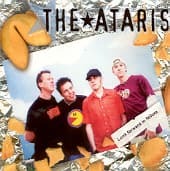 Hailing from Santa Barbara, the Ataris call Kung Fu records home. They have toured with many a Fat band and their brand of infectious emo-driven pop punk has won them more than a few fans. This CD has a smattering of songs recorded for their upcoming album along with a host of songs specifically for Fat Wreck at the Blasting Room studio's.